Ruben Jose Uriarte graduated from Cal State University at Hayward with a B.A. degree in Psychology and Latin American Studies, and has taken M.A. courses in Public Administration. 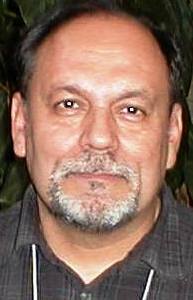 He has been a member of MUFON (Mutual UFO Network) as a Field Investigator, State Director for Northern California and Deputy Director of Investigations/International Affairs. Ruben Uriarte has been involved with a large network of research organizations. He had served as a state coordinator for Crop Circle Phenomena Research International. He was also a former research director for Beyond Boundaries, a company specializing in taking tour groups to various UFO “hotspots” around the world. He also serves as a board member for OPUS (Organization for Paranormal and Support Understanding). Ruben has authored five books, co-written with Texas UFO researcher Noe Torres, about famous historical UFO cases – Mexico’s Roswell, The Other Roswell, Aliens in the Forest, Fallen Angel, and The Coyame Incident.